At least once a month, I whip up a pot of my Easy Homemade Chicken Noodle Soup for dinner. 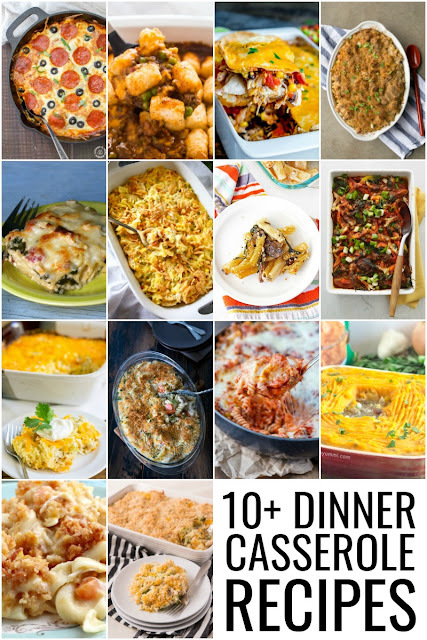 It is so much better than most of that stuff that comes out of the can or the carton, and it also happens to be one of my daughter's favorite dinners that I make. My recipe makes a generous batch of this homemade goodness. And because of this, we often get tired of enjoying the leftovers before they are all gone. While I love making this casserole with leftovers from my favorite homemade chicken noodle soup recipe, you can certainly use chicken noodle soup from the can or carton as a quick & easy shortcut. 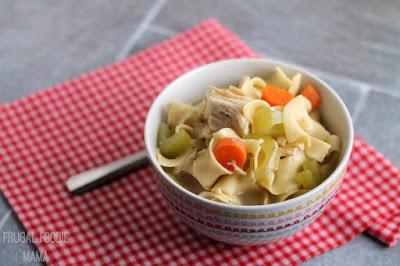 Look for a prepared soup with wide noodles and good sized chunks of chicken, carrots, & celery. 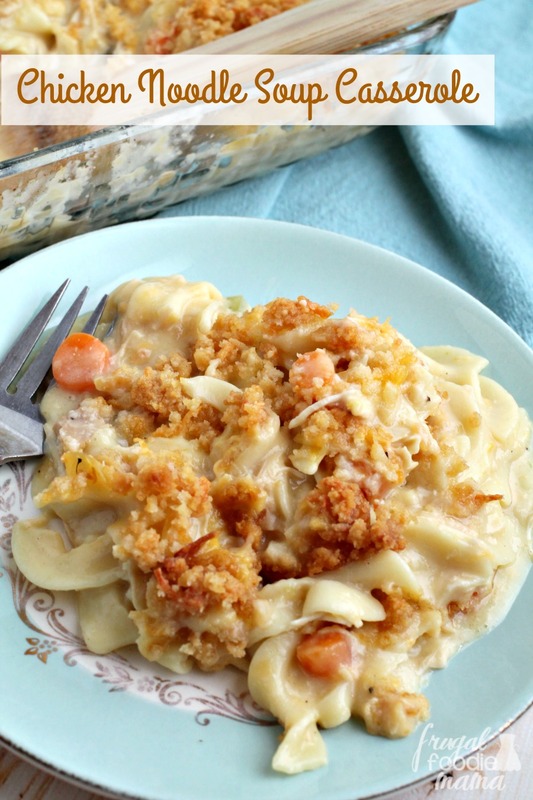 This Chicken Noodle Soup Casserole is the perfect comfort food. 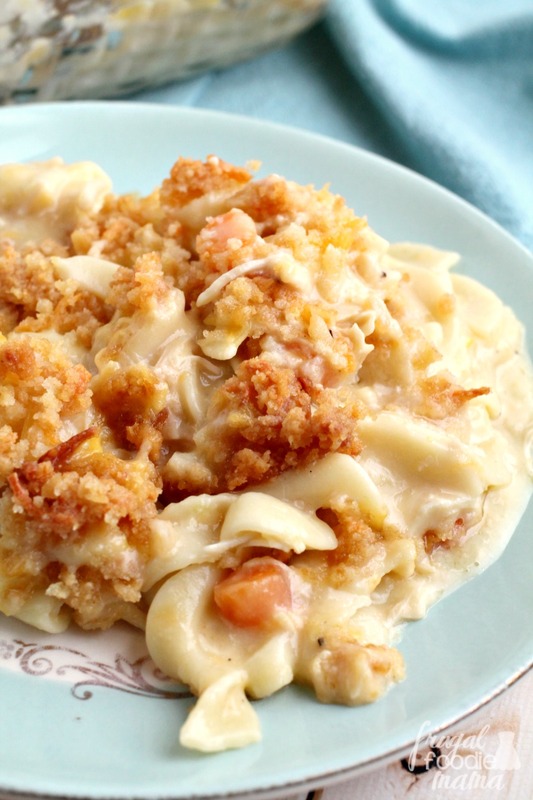 It's reminiscent of the kind of casserole that your grandmother would have served for Sunday dinner. 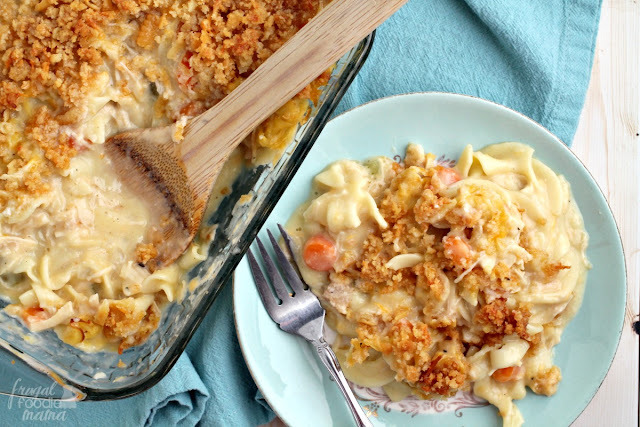 Creamy & cheesy, this casserole is chock full of comforting egg noodles & plenty of hearty chunks of chicken, carrots, & celery. 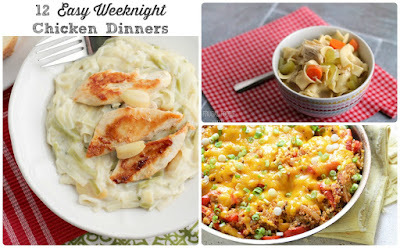 A family pleasing dinner that is sure to quickly become a regular on your weekly dinner rotation! Preheat your oven to 375 degrees. Spray the inside of a 9x9 baking pan with cooking spray. Set aside. In a large mixing bowl, combine the chicken noodle soup, cream of chicken soup, & the 3/4 cup of shredded cheese. Mix well. Pour into the prepared baking pan. 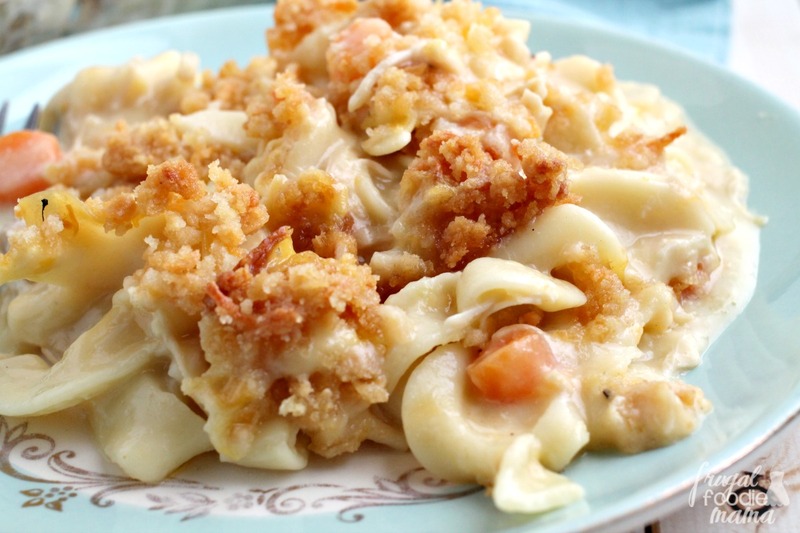 In a small mixing bowl, combine the crushed crackers, melted butter, & 1/4 cup of shredded cheese. Mix well. Generously sprinkle over top of the casserole. Bake for 45 minutes or until heated through & bubbly. Allow the casserole to sit for at least 10 minutes before serving. What is one of your favorite homemade casseroles to make? Sweet Potato Shepherd's Pie Casserole from It's Yummi!